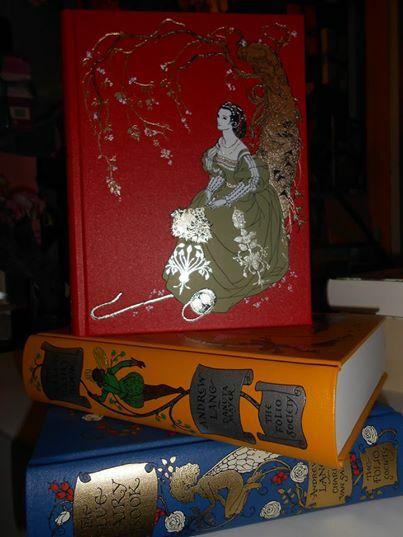 More gorgeous Andrew Lang fairy books in the colour series. Whenever I talk about Folio Society books like these, I can’t help but use so many adjectives like gorgeous, beautiful, lovely….. We have Yellow, Blue and Red fairy books – each in their own slipcase – although given how beautiful they are I can’t imagine why anyone would hide their beauty in a slipcase, apart from their journey to wherever they will reside. Will look fabulous on a bookshelf and of course the stories and illustrations are wonderful!